NHL News : Tension rises in Edmonton and could lead to stunning trade! Tension rises in Edmonton and could lead to stunning trade! The road to success for the 2018-19 season has been quite bumpy for the Edmonton Oilers… especially for young forward Jesse Puljijarvi. The former first rounder has been expected to do so much more, and yet fails to deliver. And that’s when he has a chance to do it as the young forward has been a healthy scratch several times already this season. 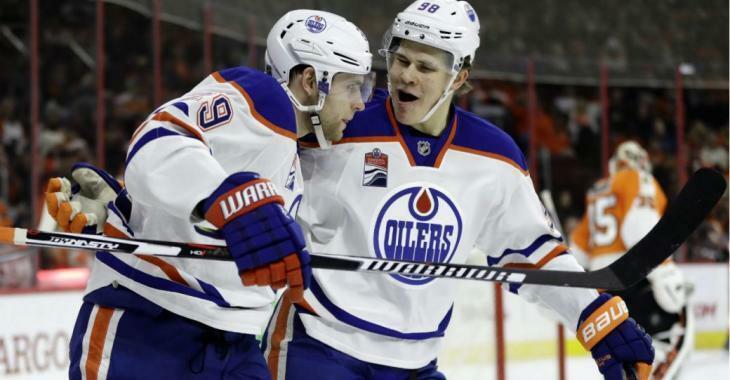 TSN Insider Darren Dreger also reports there’s “more tension” between the Oilers and the struggling winger. While he’s still in the lineup, there’s talk he could be demoted to their AHL affiliate. “If this does happen, this could, in fact, be a breaking point for a player who just wants to develop in his own way in the NHL, but at this point, it’s still a little too soon to say,” said Dreger. If the crap hits the fan in Edmonton, there could be talks of a trade involving the former first rounder. What the 20-year-old might be needing to blossom in the league is a change of scenery. What if the Oilers were facing yet another Nail Yakupov situation with Puljujarvi? If the situation gets worse than it already is, or if Puljujarvi continues to struggle then trade rumors could certainly intensify in Edmonton. After all, the Oilers could shop him now as he still has some value for a player who can provide immediate help.